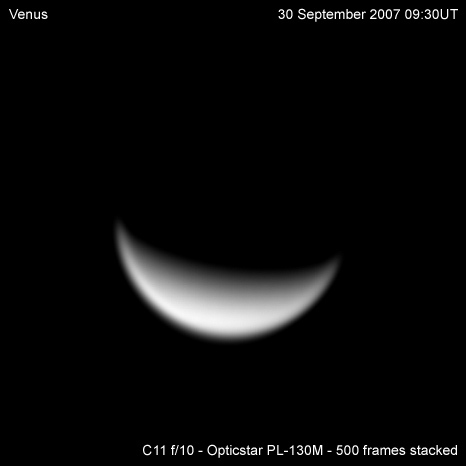 Venus is the brightest of the planets known to the ancients and probably for that reason was named after the Roman goddess of love and beauty. It is similar in size to Earth, but that's pretty much were similarities end. The planet is covered in thick clouds which creates a run-away greenhouse effect making the surface of Venus a rather hot place: 460 degrees Celsius which is hot enough to melt lead. The dense carbon dioxide atmosphere has a surface pressure of 90 Earth atmospheres.